When you’re munching on dodgy fast food with lots of other glum parents at a motorway service station, do you ever wish you’d done a bit of research to find somewhere better to break your journey? And as you chase your toddler through the service station car park, do you wonder if there’s somewhere just off the motorway which is ever so slightly more child friendly? Well, these thoughts have come into my mind countless times, particularly on the M1 motorway when I drive from Hertfordshire to Derbyshire to visit friends each summer. 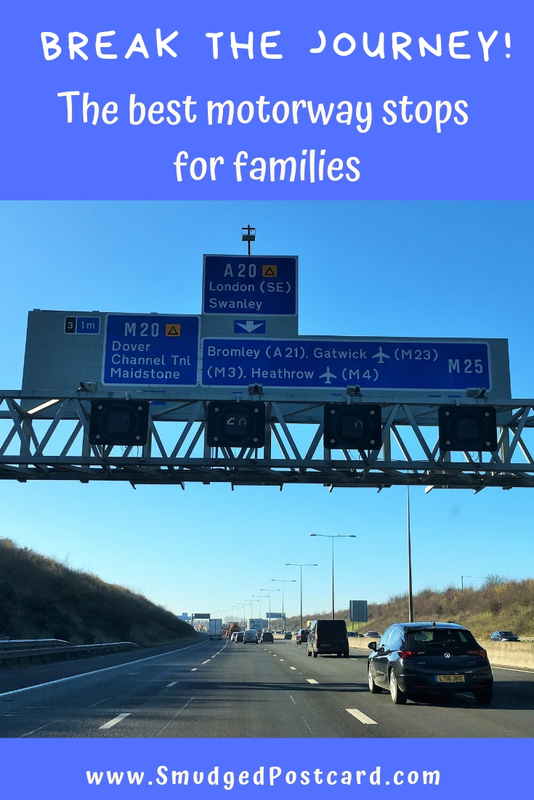 We’ve ended up at the Watford Gap far too many times so I’ve finally done some research and put together some of the top family-friendly places to stop near motorway junctions. Thanks to all the family travel bloggers, friends and family members for their input into this mammoth list! 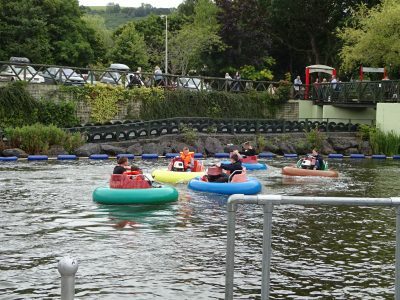 There are lots of free and affordable places to break your motorway journey in the UK as well as some pricier places which are worth incorporating into a trip if you have time. 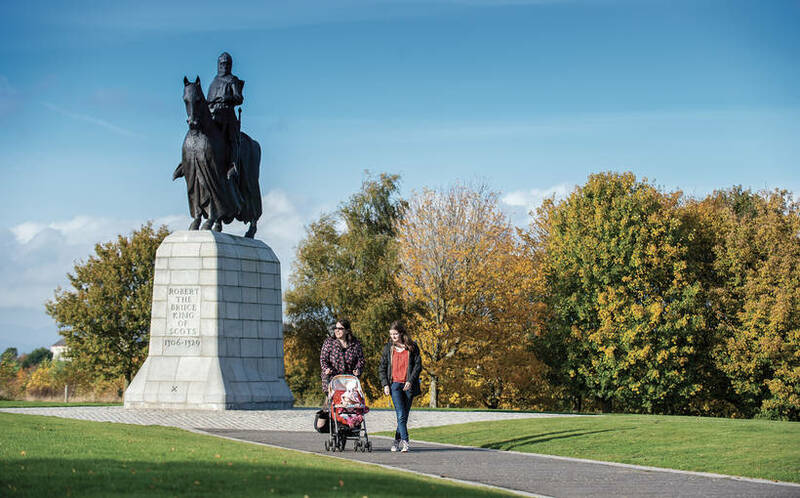 This list includes a selection of both: country parks, picnic spots and farm cafes just off the motorway plus museums and castles near motorway junctions. The National Trust and English Heritage have some top notch places to stop just off the motorway and if you have annual membership it’s an affordable way to have a coffee, use the loo and the playground, and be back on your journey with everyone feeling refreshed and exercised. 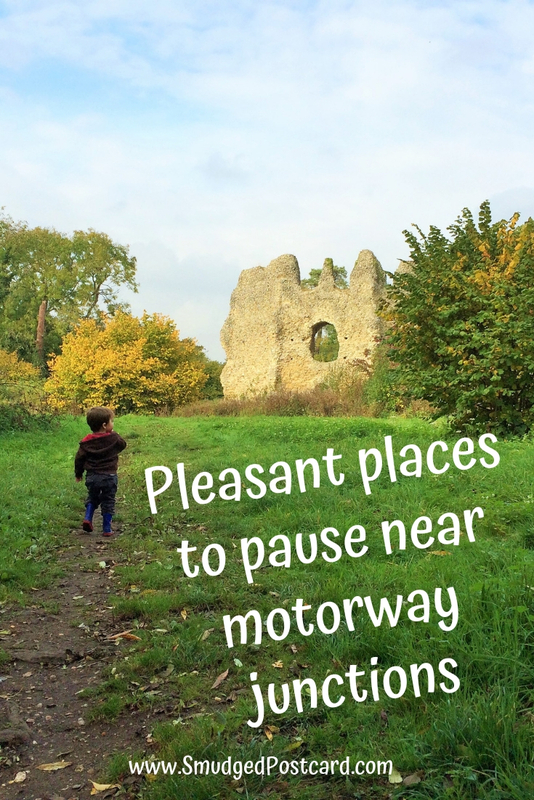 As well as family-friendly stops just off motorway junctions, I’ve also included places to break the journey near major roads such as the A30 and the A1. Some of the attractions listed have seasonal opening times and some offer cheaper prices when you book online, please check online or call ahead before visiting. If you just want a coffee and a bit of exercise for the kids, Leavesden Country Park is perfect for a quick break from motorway tedium. 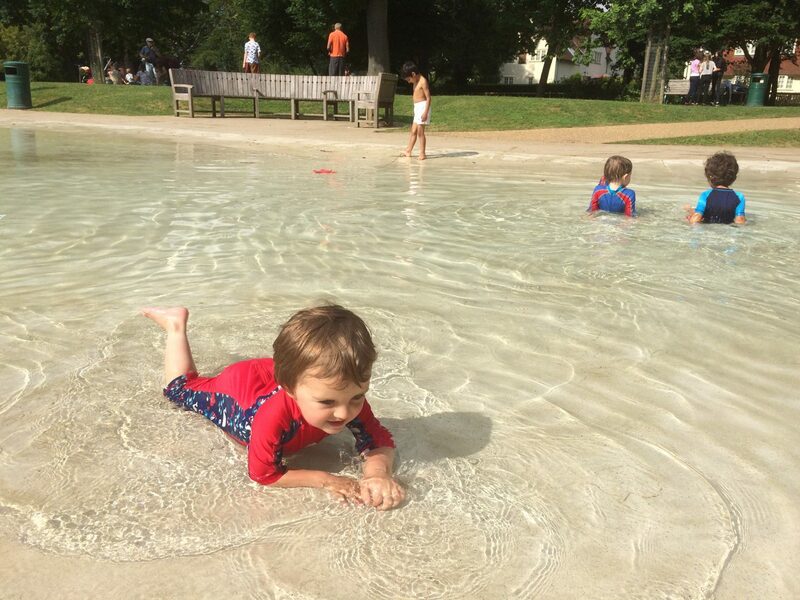 Close to the M1 and M25, there’s a play area, plenty of open space and the Woodlands Cafe. Susanna at A Modern Mother has reminded me that I really need to visit this place! 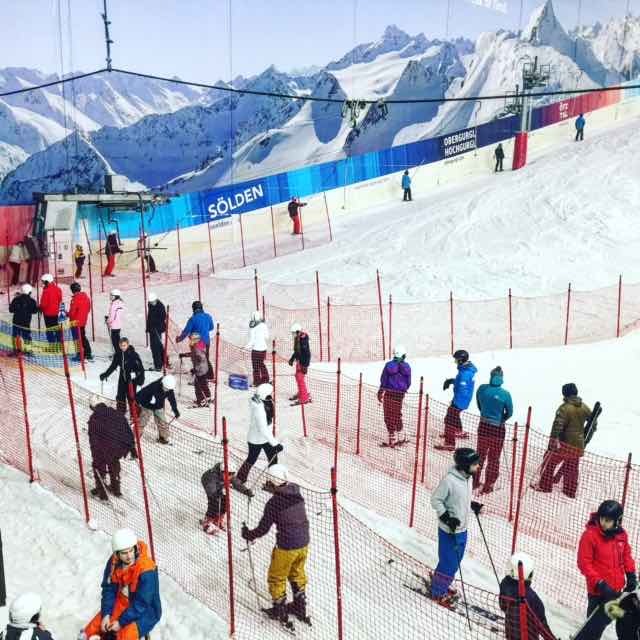 There’s real snow and you can ski, snowboard or sledge. There’s even a snowy backdrop of the Alps to trick you into thinking you’re not actually next to Hemel Hempstead. Obviously, it’s not a quick stop off, or a cheap one, but if you need to really wear your kids out before a long motorway journey, a morning on the slopes is sure to succeed. You can book lessons or just buy a lift pass in you’ve skied before. There’s also a rubber ring ride called the Ringo Slide which looks rather fun if you’re short of time (30 minute slots). Booking is essential. There’s also a restaurant overlooking the slope to warm up in afterwards. If you want some fresh air after a long stretch in the car, Dunstable Downs is unlikely to disappoint. 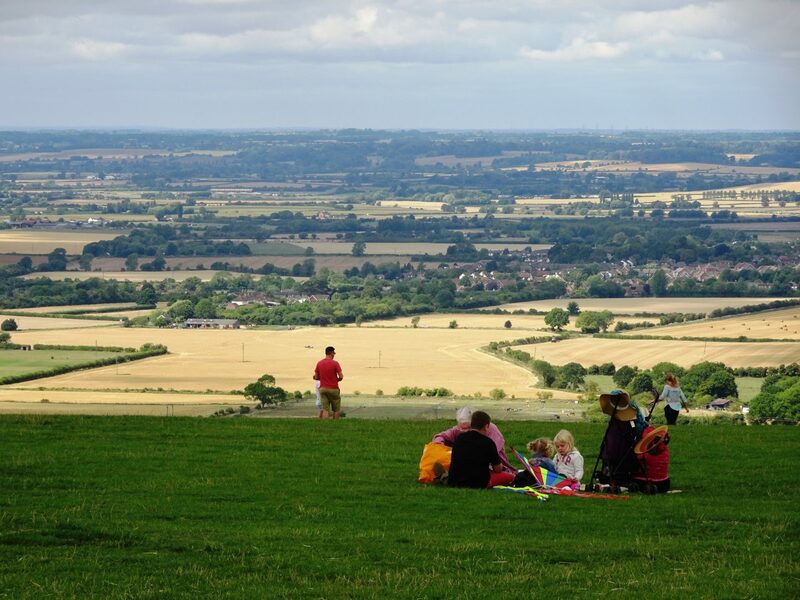 High up and exposed, you’re pretty much guaranteed kite-flying weather and if it’s too windy for a picnic, the Chiltern Gateway Centre has a cafe. I’ve heard the views are fantastic, unfortunately on the day we visited (in the middle of summer), it was completely shrouded in fog but my boys still loved dashing around in the big open space. 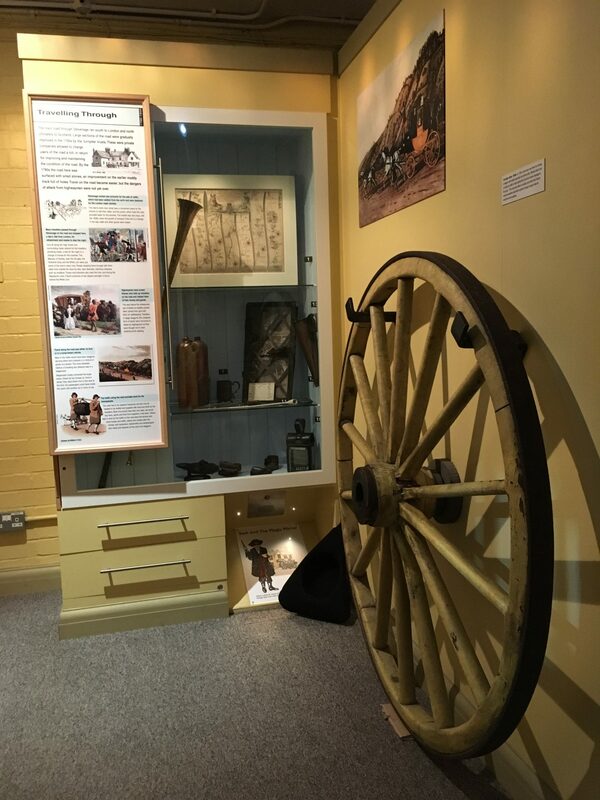 If you don’t want to deviate too far from your journey, Stockwood Discovery Centre inear Luton s just 2 minutes from the motorway. There are galleries, a garden, a children’s play area and a cafe. And there’s no charge for parking. I’m determined not to stop at the Watford Gap (between junctions 16 and 17) on my next trip along the M1. Manor Farm Cattthorpe is actually on the doorstep of junction 19 where the M1 meets the M6 but it’s not accessible from there. Instead, if you’re heading north come off at junction 18 and for those heading south it’s junction 20. The farm is just off the A5. The cafe menu has everything I need from a motorway stop: breakfasts for lunch (and healthier fare should you prefer it) and cream teas for a bit of mid afternoon sustenance. Cost: free to park, just pay for the delicious food! This is another great option if you’re in need of a mid-way break on the M1. 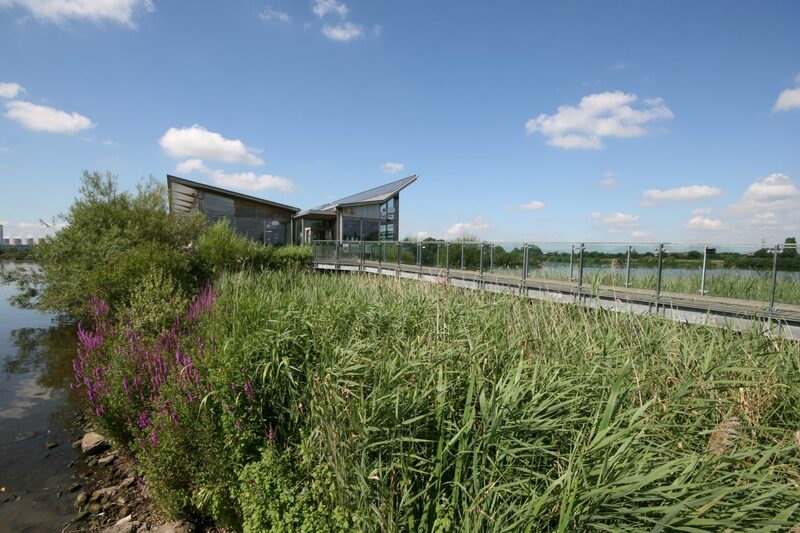 If you usually stop at Donnington services (junction 23a), stay on the M1 for 10 more miles and pay a visit to the Attenborough Nature Centre (part of the Wildlife Trust) which has nature trails and circular walks around the wetlands. Indoors, you’ll find a nature discovery area and that all important cafe. I find the only thing to break up the monotony of the M1 is the odd glimpse now and again of a distant stately pile. One of these is Bolsover Castle, sat atop a ridge overlooking the Derbyshire countryside. Aside from exploring the lavish interior of this 17th century castle, there are walls to walk along and grounds to explore. There’s enough here to fill a day but if you have English Heritage membership and you’re after a playground and a cafe, you’d be hard pushed to find a better spot. 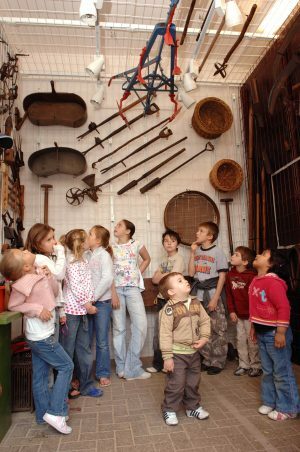 Kate from the Smaller Explorer says: the Vintage Tack Room was an inspired find for the family on our long journey back from Northumberland to Surrey. There’s a small soft play area where you can let your littleys let off steam but best of all, it does amazing pizza from a wood burning oven plus homemade cakes and ice creams. 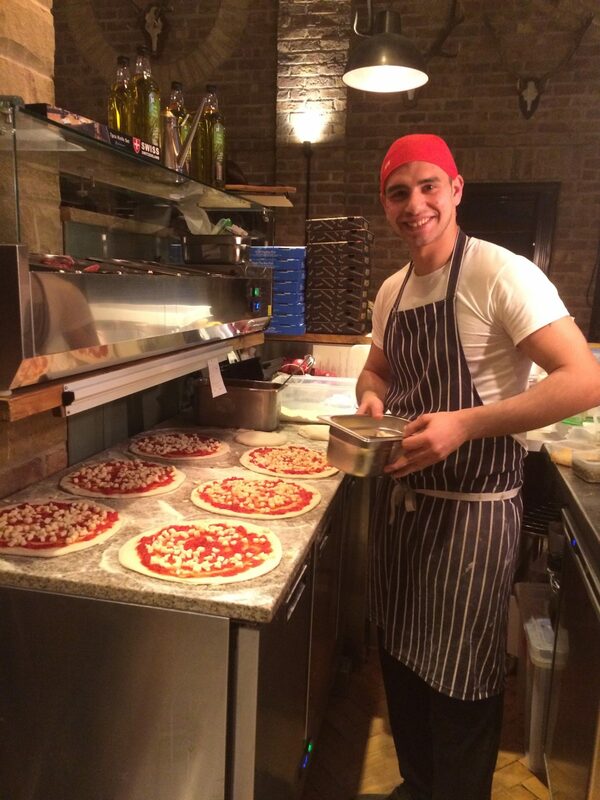 All set in a cosy and friendly environment. There’s also a farm trail should you need more time to unwind before hitting the road again. We felt like we’d struck gold. It’s easy to spot the gigantic Meadowhall shopping centre from the M1 but hidden across on the other side of the motorway is a destination which will be far more gentle on the wallet (if you avoid the Fun Park…). Clifton Park in Rotherham is a great example of a city centre park, offering something for everyone: museum, play area, splash park, mini golf and cafe plus plenty of space for picnics and walks. 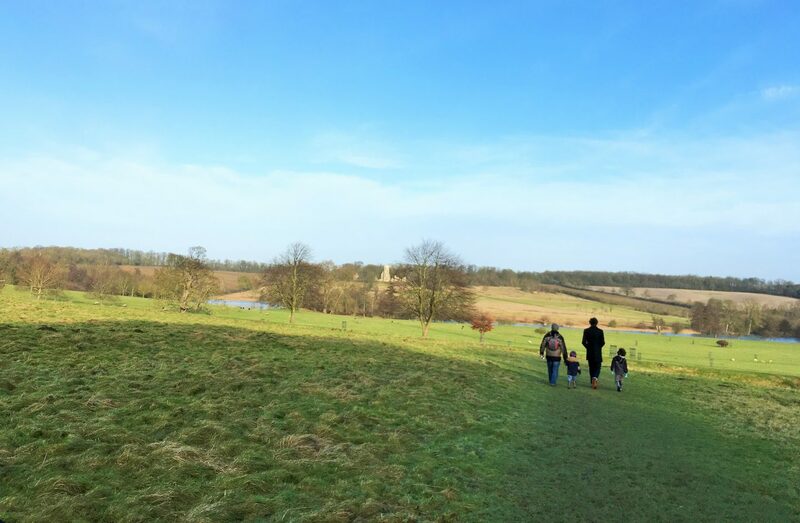 Karen Beddow from Mini Travellers recommends the Yorkshire Sculpture Park which has acres of space to explore plus indoor galleries if the weather isn’t on your side. Dogs are welcome in the park and there’s a choice of cafes if you haven’t packed a picnic. My kids love the Henry Moore Studios and Gardens near us in Hertfordshire so I’m keen to take them to the Yorkshire Sculpture Park next time we’re in the area. This purpose-built museum in Leeds Dock houses the national collection of arms and armour. Set over 5 floors, much of the collection at the Royal Armouries was previously stored at the Tower of London so it’s great to see it all on display, and in the north of England. This is a great option on route to Dover. 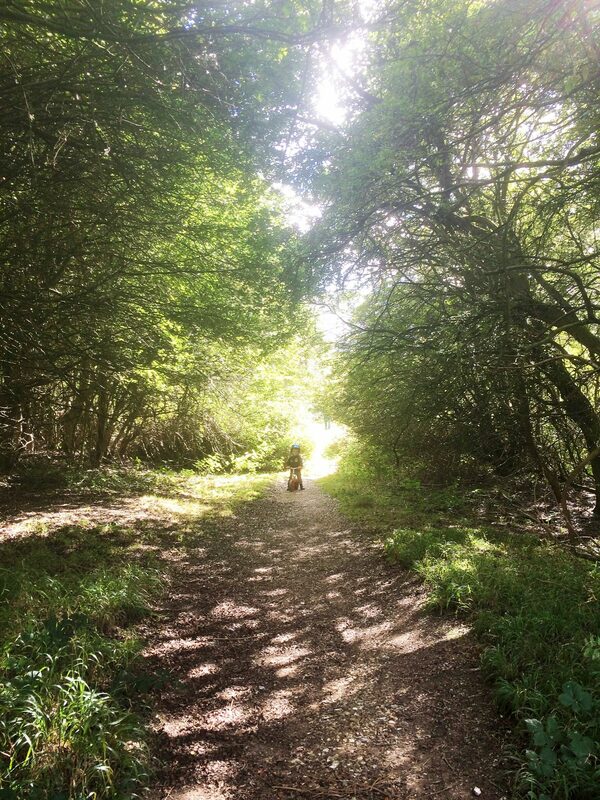 Shorne Woods is perfect for letting off a bit of steam; there are woodlands to wander through, a fab play area plus a cafe if it’s not picnic weather. When I tell people I come from Fleet, the response tends to be: “Ah yes, I know Fleet, we stop at the services there”. Not a great claim to fame for this little town. I’d much rather it was known for its lovely nature reserve, Fleet Pond. It’s a great place for a picnic and a walk with kids and / or your dog. It takes about 45 minutes to walk around the pond or you can just go and play in the woods for 20 minutes where you’ll find picnic benches and views over the water. There are no facilities if you park at the dedicated car park so if you’re in need of more facilities than a tree to wee behind, Fleet train station is a mile away or you can head to nearby family-friendly pub / restaurant Heron on the Lake for a coffee or lunch. I love this little castle, hidden among the trees near the banks of the River Whitewater and the Basingstoke Canal. St John’s Castle, or Odiham Castle as it’s also known is a proper ruin, dating back to the 13th century, which we often have to ourselves when we visit. There’s also a ford for splashing in (I wouldn’t fancy trying to get my car across it). If it’s not picnicking weather, head into the nearby village of Odiham (lovely) which has a range of pubs and cafes or to the excellent Newlyns Farm cafe. To reach the castle, abandon your car on Tunnel Lane in North Warnborough and follow the signs towards the ford. No facilities at the castle so head to the farm shop or into Odiham for refreshments and toilets. Why can’t we have more museums like Milestones? One of my children loves history while the other one is currently indifferent to it but they both love exploring this indoor world of Victorian Basingstoke. This is our favourite destination on a rainy day when we’re visiting my family who live nearby. If you’re heading this way, read what we love about Milestones. Located just inside the M25 on the edge of west London, this country estate (one of the last surviving in London) is at the top of my list of half way places for my extended family to meet at this year. 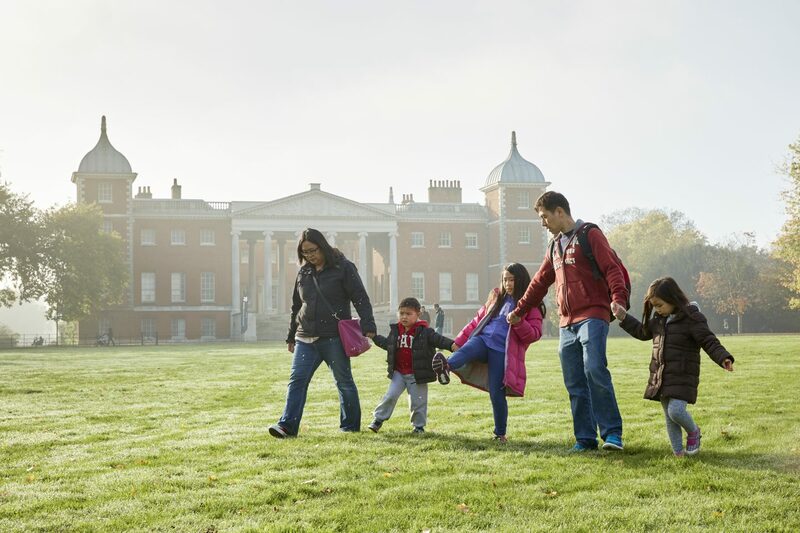 The most appealing aspect of Osterley Park (for my family anyway) is that it offers very good value bike hire for children and grown ups so if you’re a bit lazy like me and can’t face strapping your bikes to your car, you can borrow bicycles for just £3 for two hours or £6 for the day. 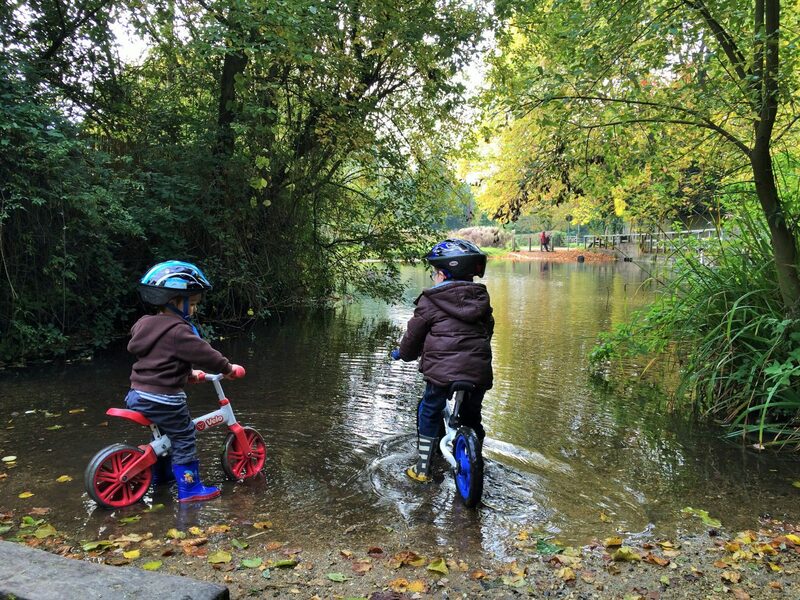 Balance bikes are free! There’s a lovely sounding cycle path through the estate which looks perfect for children and at weekends in certain months there are canoes for hire on the lake. 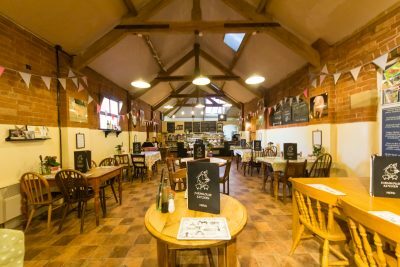 Wellington Farm Shop is a very family-friendly farm shop and cafe. And when I say family-friendly I mean you’ll feel out of place if you come here without kids as my husband and I once did after dropping our brood off with my parents at nearby Wellington Country Park. We were starving and dashed into the farm shop before setting off on a child-free weekend. The food was good but next time we’ll bring the kids. 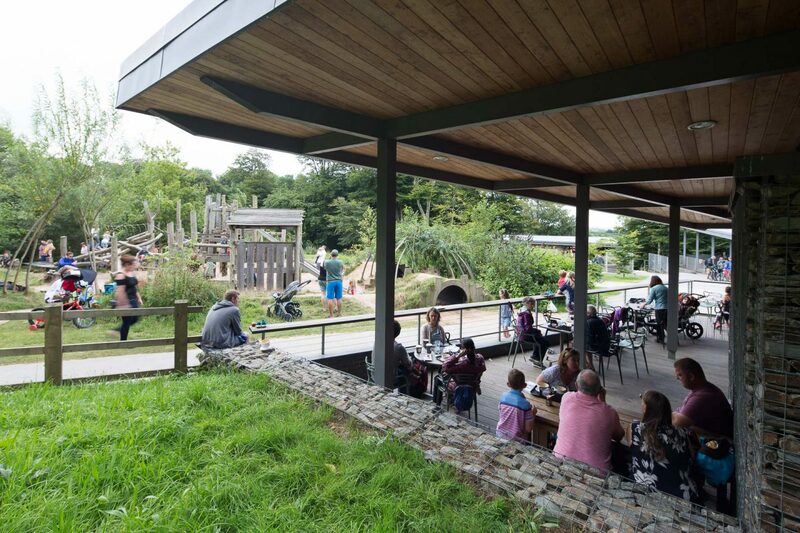 There’s indoor and outdoor seating plus a playground and the chance for children to meet some of the animals who, after a happy life, will one day end up in someone’s sandwich. Wellington Country Park meanwhile, is a wonderful day out: multiple play areas, a little train, lots of space and a small farm. We’ve been there in (heavy) rain and shine and always have a great time. 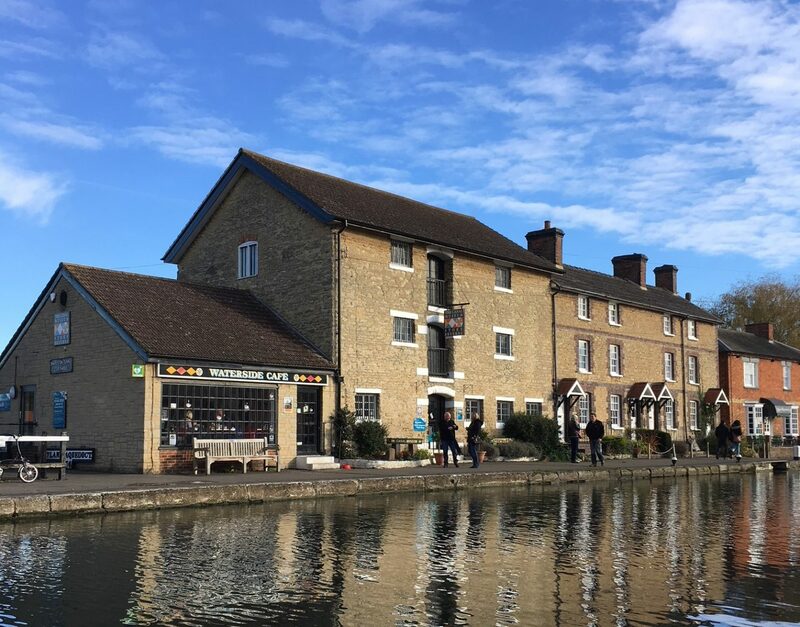 If you want to tick off one of England’s prettiest villages, Nicky from Go Live Young recommends Castle Combe in the Cotswolds Area of Outstanding Naturally Beauty as a great place to wander and stretch your legs. As you’d expect from a Cotswold village, there’s a good range of places to eat. Apparently there are public toilets in the village, otherwise head to one of the pubs for refreshments. 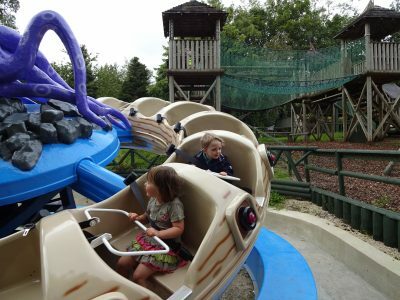 Debbie from Grand Adventure Story has written an excellent review of Dyrham Park. The great thing about National Trust properties such as this one is that if you’re a member, you can pop in and use the play area, grab a coffee or have a picnic lunch and then hop back in your car to continue your journey. 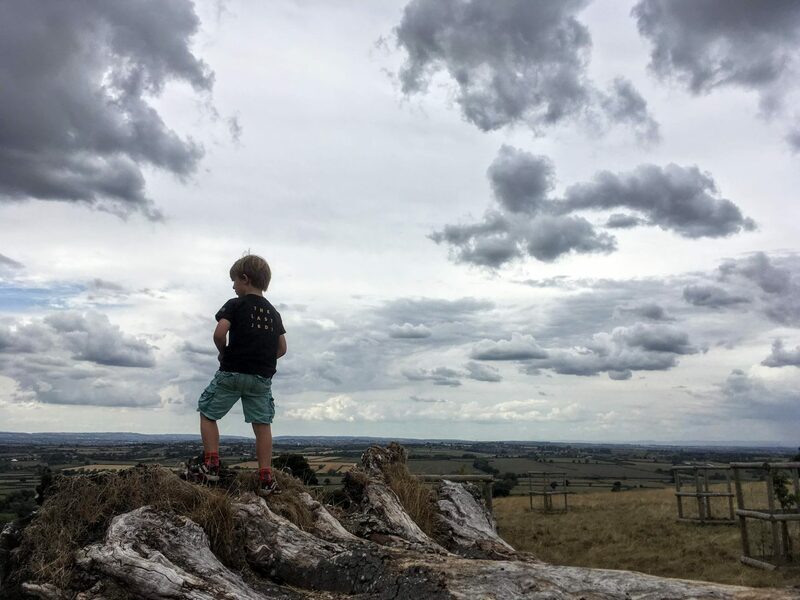 Dyrham sounds great for kids who need to burn some energy after a couple of hours in the car: there’s tons of space, hills to climb, fabulous views over the Bristol Channel and a farm-themed play area. Another recommendation from Nicky at Go Live Young, 17th century Tredegar House has extensive parklands, a play area (crucially, with ice cream kiosk in peak months) and a cafe. 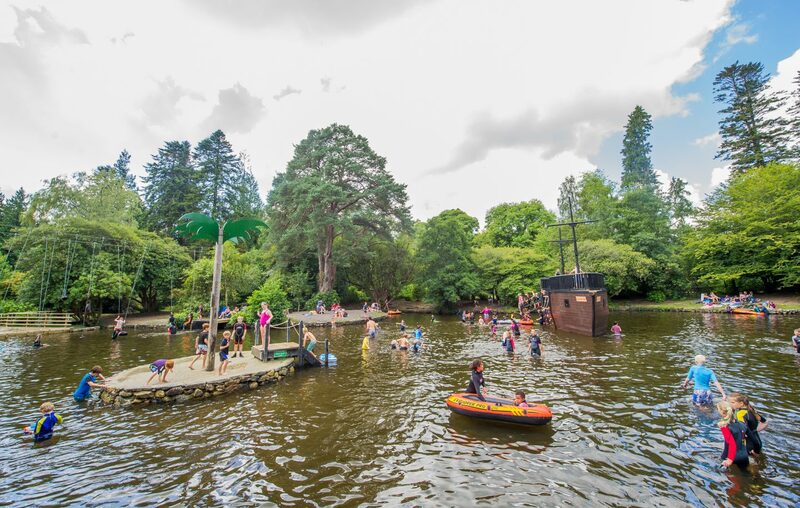 Although some National Trust properties have one entry charge for everything, Tredegar offers free access to the 90 acres park with just a charge for parking. Along with its sister, Tebay Services (on the M6), this is a refreshing departure from the usual motorway service station. Gloucester Services has a farmshop, cafe (with free WiFi), a butcher’s and a fishmonger (south bound only). There’s also an indoor and an outdoor play area. M5 Junctions 13 to 21: a whole host of fantastic places off the motorway near Bristol! Set amid hundreds of acres of grounds, there’s rather a lot to take in at Tatton Park, with its neo-classical mansion, formal gardens and Old Hall. 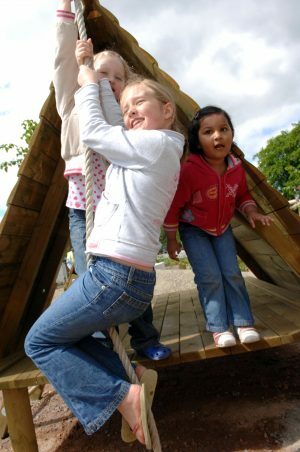 But if you’re only after a quick break, you’ll find parklands to explore, a farm and a play area plus several eateries. There’s more information for families here. Now, I’m afraid this is a traditional service station with the usual mass market chains. However, I’ve included it, on a friend’s recommendation, for its lovely setting overlooking Killington Lake reservoir where, in good weather you can picnic and enjoy a waterside walk. 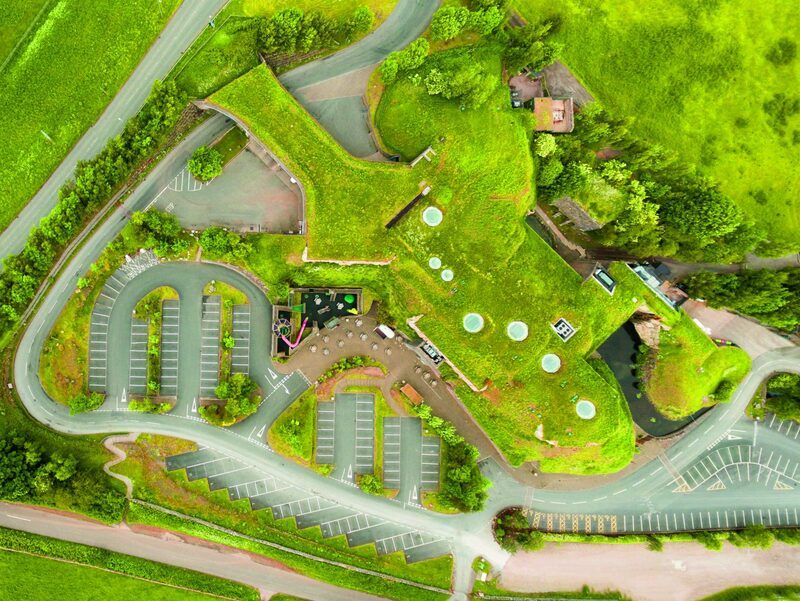 The grass-covered Rheged Centre is an arts and heritage site with shops, cafes, indoor and outdoor play areas. 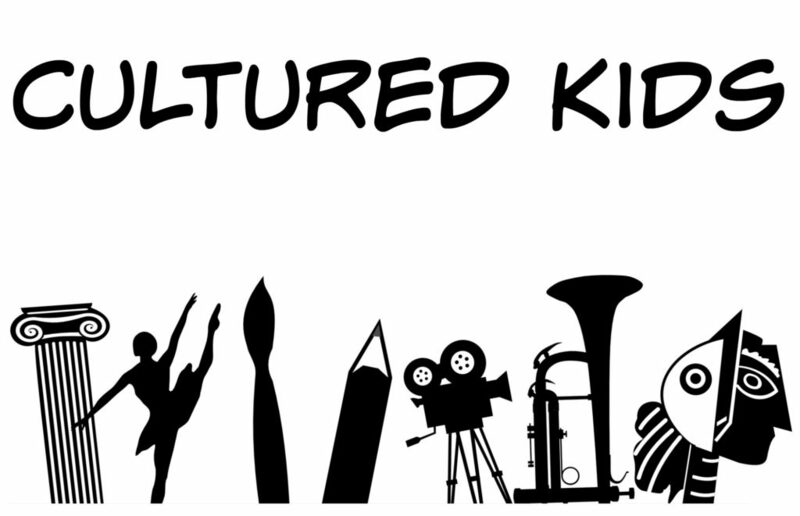 If the weather isn’t on your side and that 10 mile walk you planned isn’t happening, there’s a 3D cinema, exhibitions and children’s activity workshops in the school holidays. There’s also a petrol station. Yes, this is the junction for Stansted airport. But if you’re not a plane spotter, another place to visit is Hatfield Forest, a National Nature Reserve with woodlands and a lake. It’s a great place for a walk or den building, we always seem to visit in wintertime but still manage to sit outdoors and enjoy lunch and a hot drink. 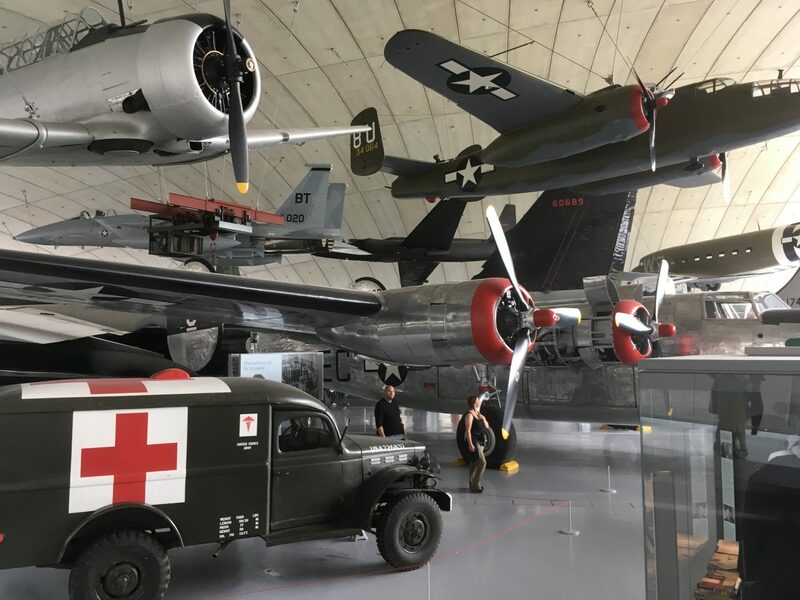 If you’re not in a hurry and your kids are keen on aviation or military history, I can highly recommend Duxford Imperial War Museum which is literally a stone’s throw from junction 10. After our first visit there, my older son convinced me to return 5 times in the space of a year (we live quite nearby). Well, we certainly got our money’s worth. If you buy an annual pass, the ticket includes entry to all of the other museums in the group including HMS Belfast in London. This is a truly lovely place to have a walk, particularly in wintertime when the stroll across the fields to the 18th century folly really blows away the cobwebs. Wimpole has a great farm cafe where little ones can play on toy tractors, bring a spare set of clothes if it’s a muddy day, my kids came away filthy (but very happy). Has anyone else had a newly potty trained toddler howling for the toilet whilst you’re queuing for the Dartford Tunnel? 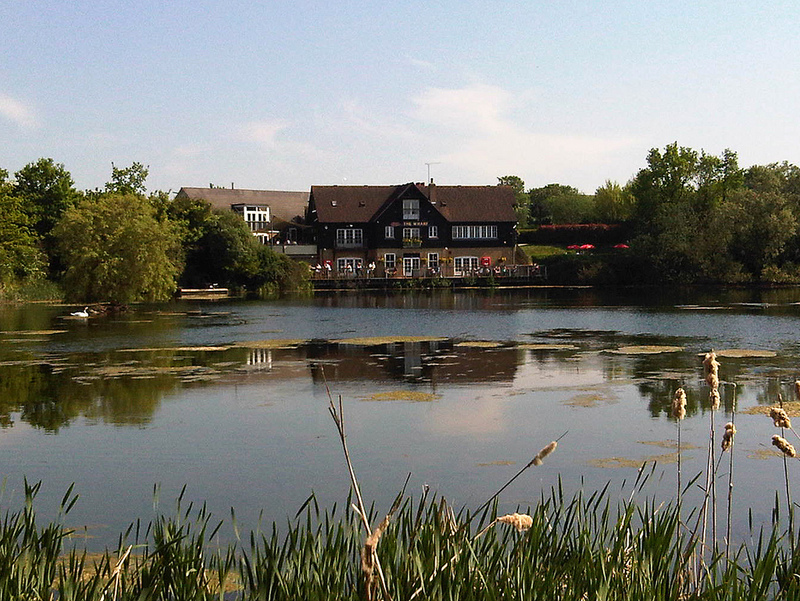 Don’t feel you need to resort to visiting Bluewater shopping centre, a great alternative is this little fishing lake which you can wander around or have a picnic at, after visiting the the Wharf pub for refreshments and a trip to the toilet! One of my friends has recommended the pretty villages of Farningham and Eynsford near Swanley. 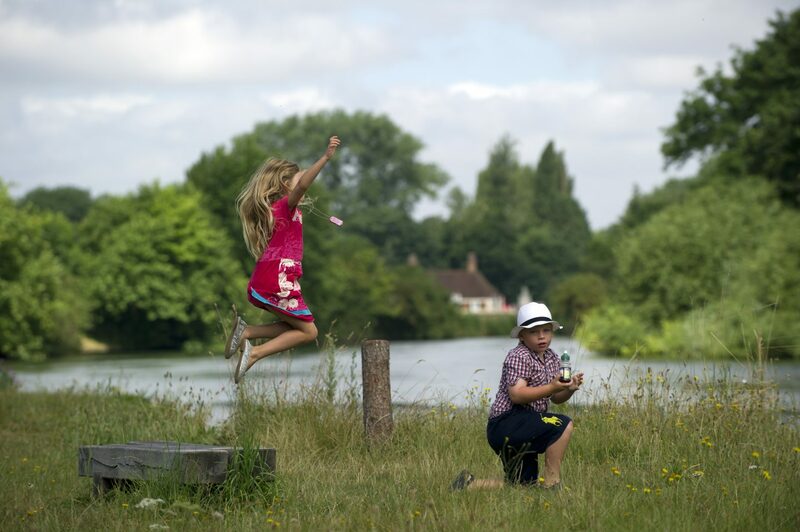 In summer, you can picnic by the river and go for a paddle or if that toddler needs the loo, head to one of the village pubs: Farningham has The Lion and in Eynsford you could try the Plough. 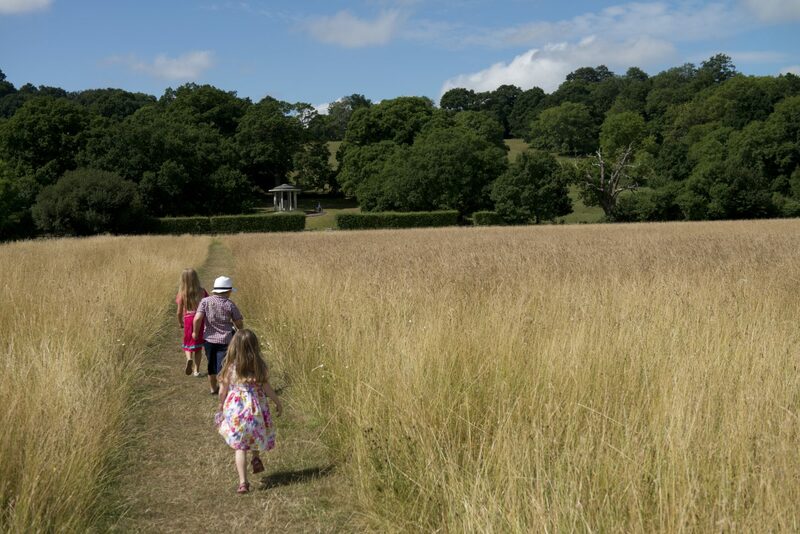 Gretta from Mums do Travel recommends a visit to Chartwell, the family home of Winston Churchill and after visiting there ourselves recently I agree that it’s a fabulous place for kids to burn some energy. 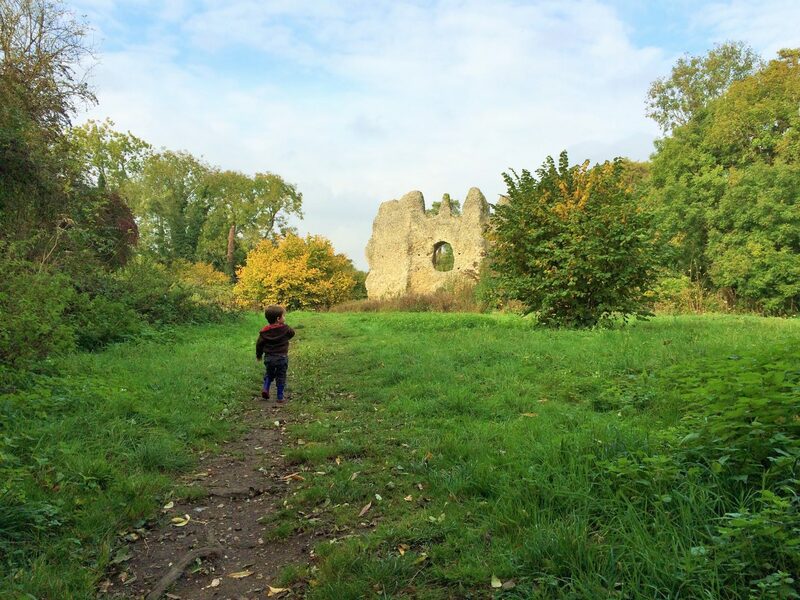 There are extensive woodland trails to explore, natural play areas, den building and even the childhood playhouse which Churchill had built for his daughter. My children were particularly taken by the large bomb crater which has ropes to climb down and balance beams to totter across. Catherine from Cultural Wednesdays has recommended the National Trust’s Runnymede on the River Thames where the Magna Carta was sealed some 800 years ago. This is a great place for long walks and picnics but there’s also a cafe should the weather not be on your side. If your budget (or time) doesn’t quite stretch to the nearby Warner Bros Studios, a more cost effective option is Watford’s lovely Cassiobury Park. If only more city parks could get everything this right: woodlands with bluebells, a splash park, playground and cafe. Note, the car park will be full on sunny weekend afternoons so you need to time your visit or find parking elsewhere (see below). When you join the A1 from the M25, don’t be tempted to break your journey at the Galleria shopping centre, (unless you’re after a cheap winter coat or walking boots, in which case go ahead, you’ll find some excellent bargains), instead drive a bit further to Hatfield House. Here you’ll find a brilliant playground, “the Bloody Hollow” and a little farm as well as extensive parklands to explore. If you get your entry tickets stamped, you’ll have free return entry for the rest of the year making it a good option if you’re passing through again. If you find the volume of children at the London Transport Museum a little overwhelming (I always expect to loose my children in there), Whitewebbs Museum of Transport is a great, if rather old fashioned and modest, alternative. It’s usually empty when we visit but the limited opening hours could play a part in that. 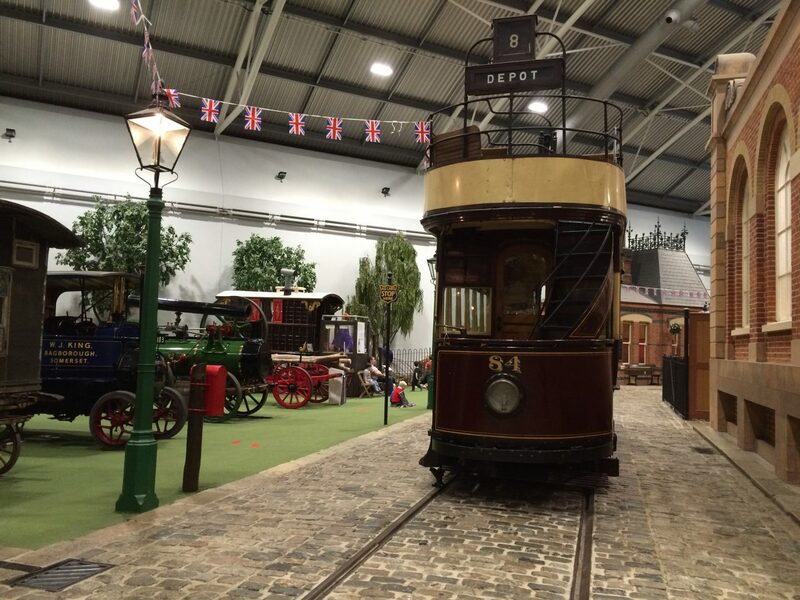 There are several floors of exhibits with everything from bicycles to London double decker buses. The cafe is rather basic but there’s a good picnic area next to an old railway carriage in which you’ll find a charming little model railway. I feel slightly nostalgic writing about Burton Dassett. 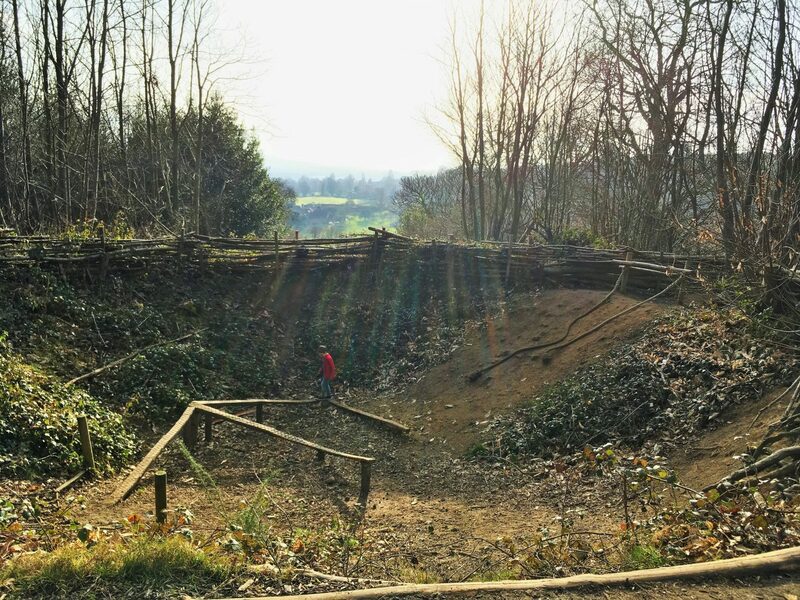 Located midway between Banbury and Leamington Spa, the park’s steep hills, beacon and quarry bring back childhood memories of picnics with my grandmother who lived near by. 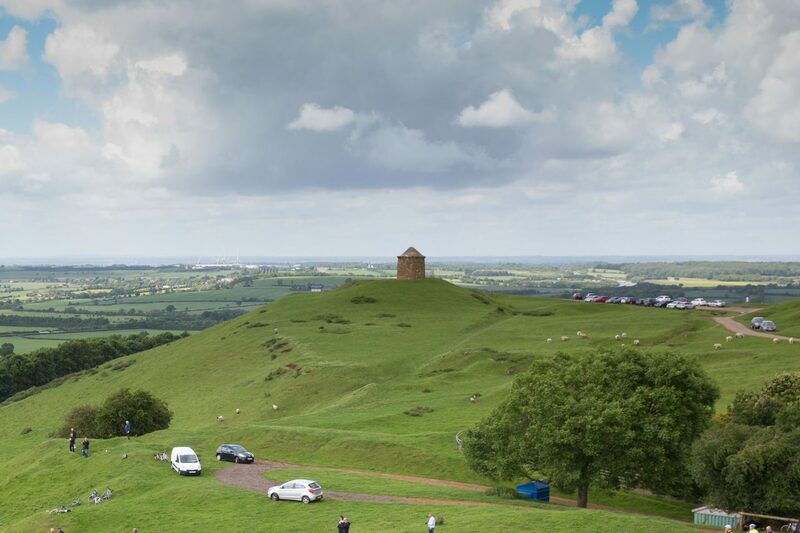 We always knew our journey along the M40 was nearly over when we caught sight of Burton Dassett’s beacon perched on the hilltop overlooking the motorway. My brother and I loved running up and down the hills and searching for fossils. 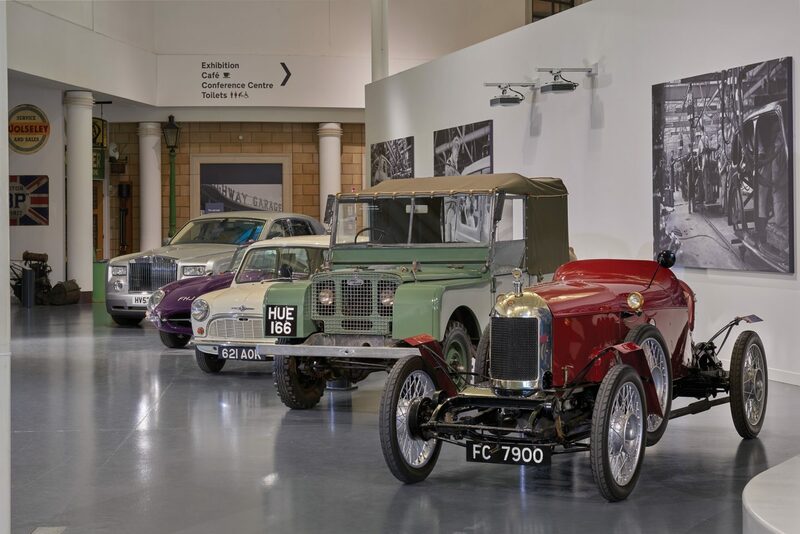 If it’s not picnicking weather and you have time and cash to spend, the British Motor Museum is worth considering. 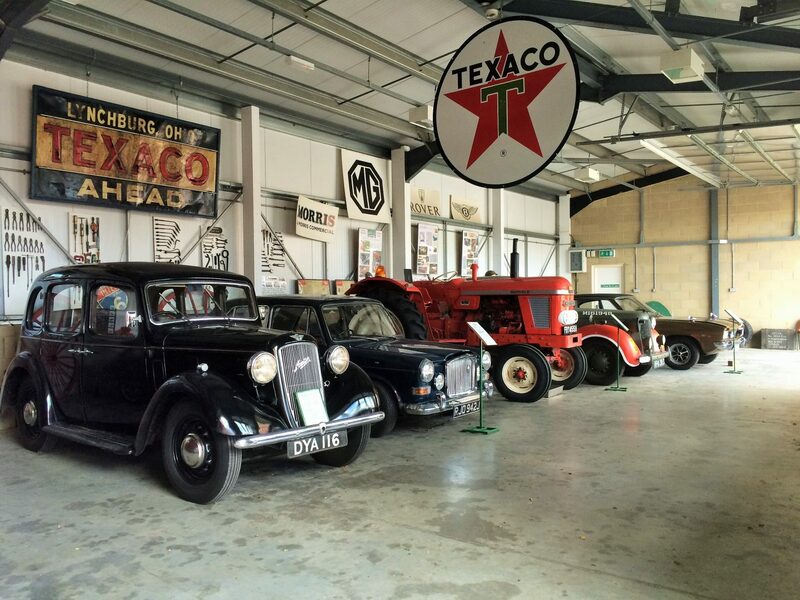 The museum houses over 300 British classic cars and traces the history of the motor industry. It’s not a cheap stop off but the entry price, if you do gift aid, is valid for a whole year making it a good option if you pass through regularly. Some cars can be sat in, there’s an interactive zone for children plus themed events in the school holidays as well as an outdoor play area. This is a great little museum about a working 18th century water mill. Mill Green is usually pretty quiet, I somehow managed to wander round it with a two and a four year old without damaging anything despite some steep steps to the top of the mill. There’s also a little garden outside for picnics. 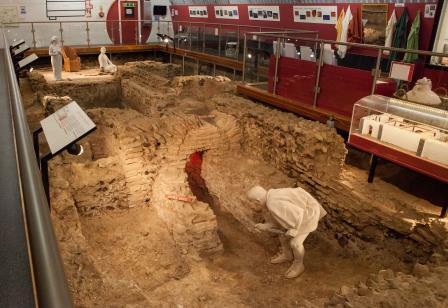 Hidden beneath the A1, in a specially designed steel vault, you’ll find several Roman bath remains including cold, warm and hot rooms plus a well preserved heating system. There are various Roman artefacts on display and visitors can learn about how the vault was constructed too. No doubt every town near every motorway has a good value museum worth stopping at but I’ve included Stevenage Museum because it’s near to where we live and I think it’s a particularly good example of a local museum. My kids spent quite some time exploring all the exhibits and really enjoyed the visit: there’s a 1950s kitchen where you can recreate The Tiger Who Came to Tea plus highwaymen artefacts and a “man trap” for catching poachers. Cost: free but you’ll need to pay for parking, just avoid the long stay car park which is considerably more expensive than all the others! Don’t be fooled by the name, you’ll find Knebworth House when you exit the A1 at Stevenage. And it’s literally just off junction 7, accessed by its own private road past the Novotel. It’s not a cheap day out (see Stevenage Museum above if that’s what you’re after) and it does open rather late in the morning (11am) which can result in queues at the gate. However, once you’re inside it’s a child’s paradise: Kneworth Fort play area, giant slides which kids and grown ups alike will enjoy whizzing down and acres of space to run around. When you’ve had your fill of playing, hop back in your car and head up towards the house where you can explore the gardens and discover the dinosaurs. Play area has ice cream kiosk and toilets, main house has cafe, shop and toilets. As well as the usual farm animal experience, Sacrewell Farm offers rather a lot more and at a pretty reasonable price too. Expect to learn about farming history from Roman settlers to the present day. 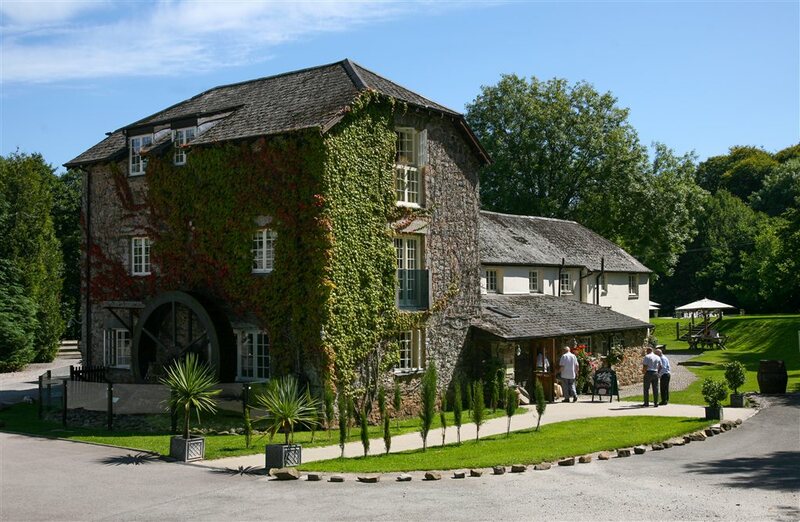 There’s also a recently restored 18th century water mill and an indoor soft play area should the weather not be on your side. 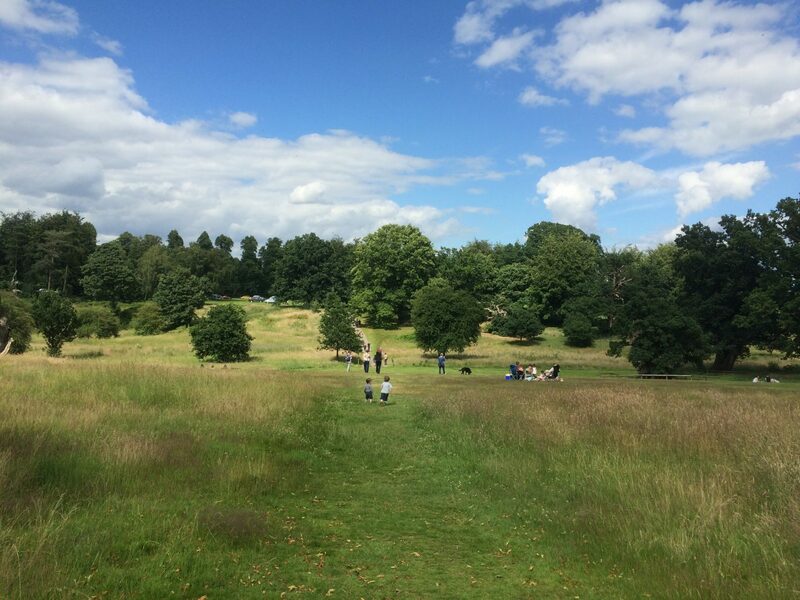 I generally find it difficult to drag my children inside when we visit a National Trust property, such are the attractions outdoors. However, I may have more success at Woolsthorpe Manor thanks to the Science Centre set up in homage to Sir Isaac Newton, who lived at the manor. The 17th century scientist explored many of his theories here and children have the chance to learn about gravity and play with light at this hands-on centre. 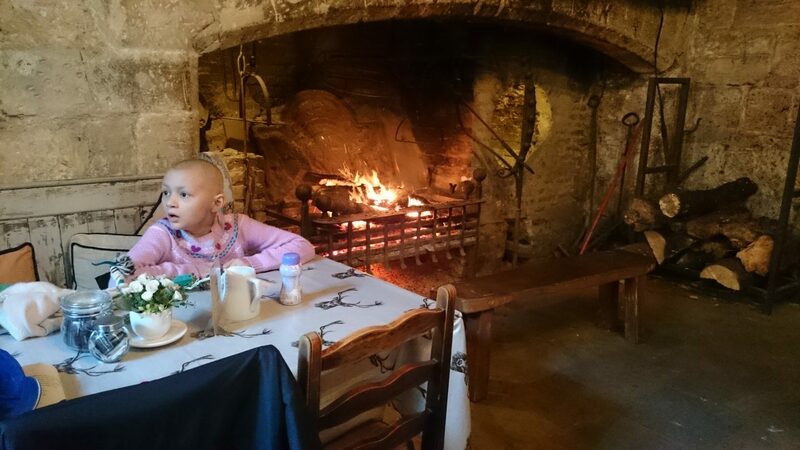 My friend Emma Waltham, scientist-turned-career coach, says Woolsthorpe Manor is the perfect place to break the journey with her children when they drive from Hertfordshire to Yorkshire. So, Belton House is billed as a perfect example of an English country house estate. 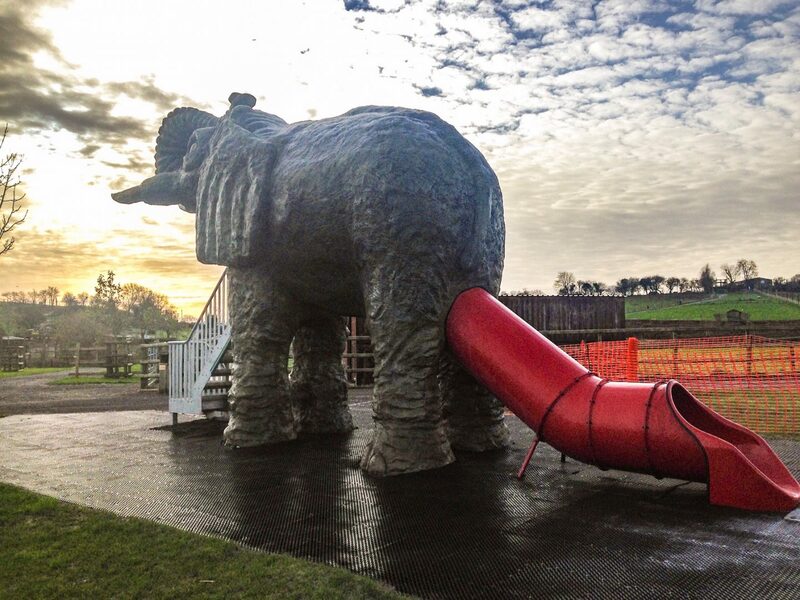 More importantly for bored children who’ve been confined to a car for too long, it also boasts the National Trust’s largest adventure playground. There are a number of places to refuel at including the Muddy Hands food kiosk at the play area. 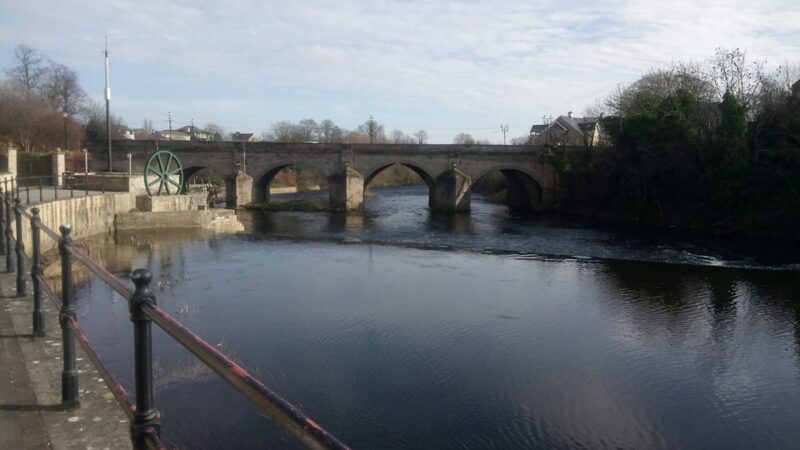 The lovely market town of Wetherby gets a vote from a friend of mine who lives close by. She recommends the town for its range of independent cafes, huge playing fields, picnic areas beside the river and the free parking! 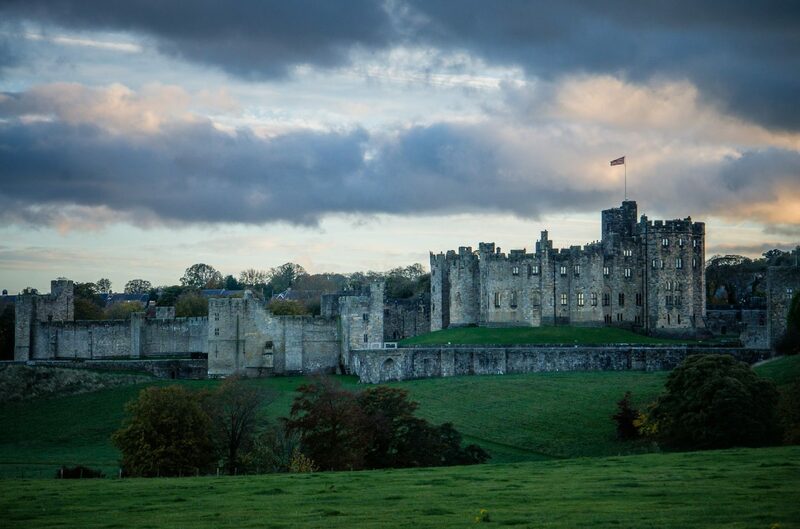 This is another of my not so quick stopover options but Alnwick Castle is so fantastic, and so close to the A1 it would be a shame to miss it if you’re driving through Northumberland. The castle was used for some of the Hogwarts scenes in the Harry Potter films so if you need a big bargaining stick in exchange for pinning your children into the car for several hours, you could promise them a broomstick training session at Alnwick. With a history dating back to Norman times, there are grand interiors to explore and expansive grounds to run off any pent-up energy. 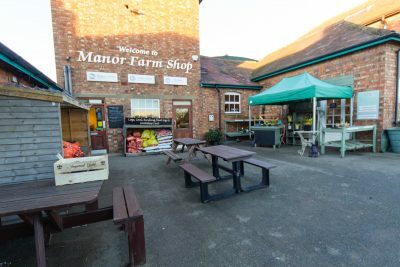 Catherine from Catherine’s Cultural Wednesdays has recommended the same great farm shop and cafe which we ate at on our way to Norfolk recently. 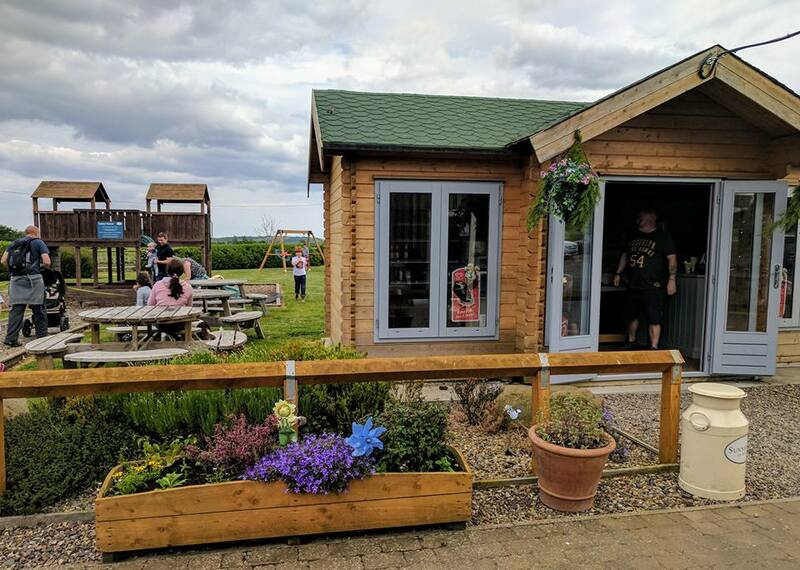 La Hogue Farm Shop and Cafe sells all day breakfasts, jacket potatoes and cream teas among other heartening dishes and there’s a kids’ menu too. 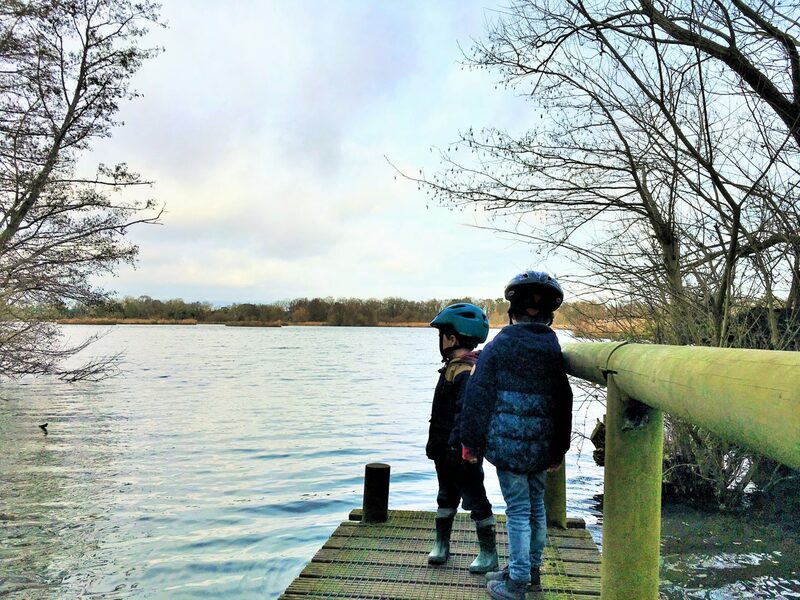 Elveden is perhaps more well known for the Suffolk branch of Center Parcs but if you’re looking for a quick break from the A11, Elveden Estate has nature trails through the woods and various eateries to choose from along with a selection of shops including a farm shop. Coggeshall is a good half way point for us on route to Frinton-on-Sea, the closest patch of sand from our home in Hertfordshire. It’s also a good place to stop if you’re taking the A120 to the port at Harwich. Coggeshall is a charming town with lots of medieval timber-framed buildings, some of which are managed by the National Trust. The opening times of the historical spots have yet to fit with our schedule but we’ve made good use of the village play area and the local pubs! On our recent trip to Cornwall, we set off from our home in Hertfordshire at 5am. We passed families queuing for the American diner cafes which are a strange feature of the A30 and continued driving until we reached Honiton. And I’m so glad we did as we discovered the excellent Boston Tea Party just a couple of minutes from the A30. There’s a great brunch menu and a lovely garden for the kids to run around in while they’re waiting for their pancakes to cook. My brother also stops in Honiton on his trips to Cornwall and highly recommends Toast Cafe which looks equally lovely and also has a garden. Both of these cafes are dog friendly. 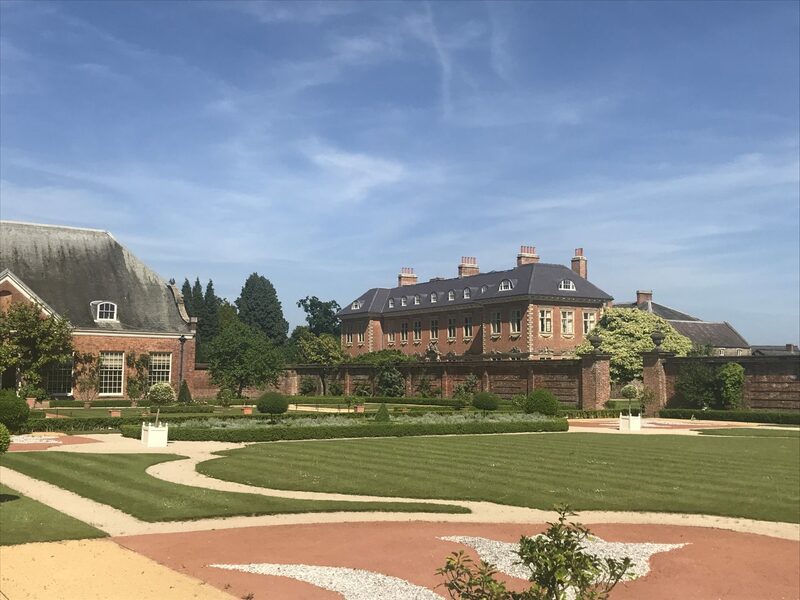 Cathy from Mummy Travels has put together a list of great National Trust properties which are close to motorway junctions and she also provides links to some Guardian articles on places to stop. Meanwhile, the Telegraph has a pretty comprehensive list of alternative places to eat off the motorway. And I love the list compiled by the Canal River Trust. Do you have any suggestions which I can add to this list? Let me know in the comments below. What a list!!! I will definitely be saving this for future road trips around the country. Thank you so much for including me also! Pleasure Angharad! I’ll definitely be trying out some of the Bristol places when I’m next in the area. 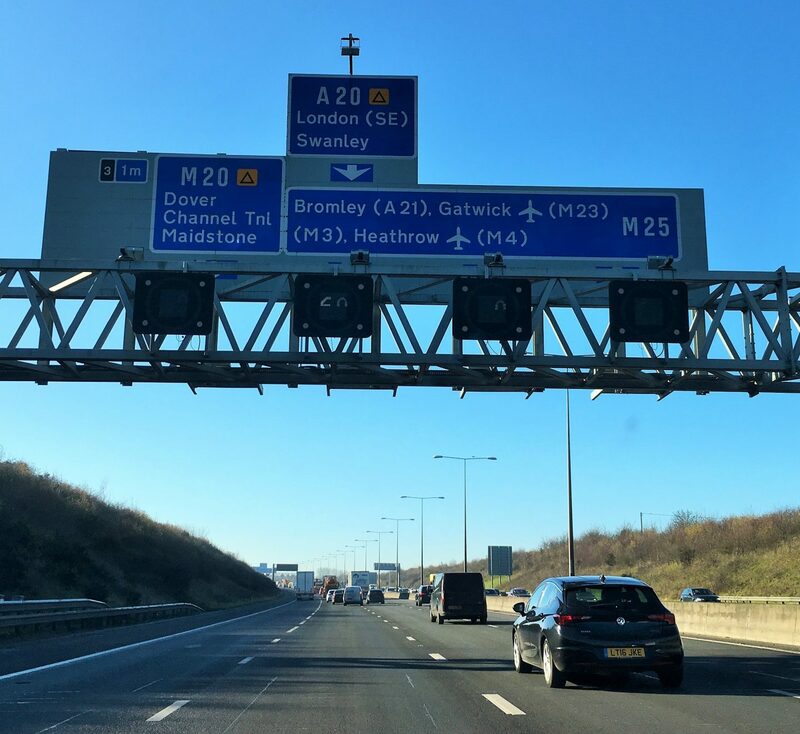 What a fantastic comprehensive post – some great ideas, and really useful when you’re trundling up and down motorways. Thanks for including my post too! Thanks Cathy. Driving along the M1 inspired this post so I’m looking forward to stopping at some of these places now! Thanks Sam. I think the farm shops such as the one you recommended are really key places. Satisfying to eat there and gratifying knowing that you’re spending money locally. Wow Annabel this is an impressive piece of research and writing, and brilliant for families looking to break long journeys away from motorway cafes. Thanks for including Kids of the Wild in there too! Thanks Lucy. I hope you find it useful. And if you find any good fields to recommend on your travels up and down the country, let me know! What a great idea for a post! Very helpful information here, and thank you for including my tip. Thanks for your input, we all loved our recent trip to Chartwell, such stunning scenery. This is possibly the most helpful travel guide I’ve seen!! Motorway journeys can be hellish with kids, and stopping at services is always a dreary prospect. So it’s great to have so many alternative options. Almost enough to plan a road trip just for the stops! Thanks Nell. I thought it would never be finished! Actually, I think it will be a permanent work in progress as people keep telling me about more places. I’ve already made use of it! This is such a useful post, Annabel. I hate getting stuck in traffic on motorways so this will be a godsend next time we’re travelling around the UK. 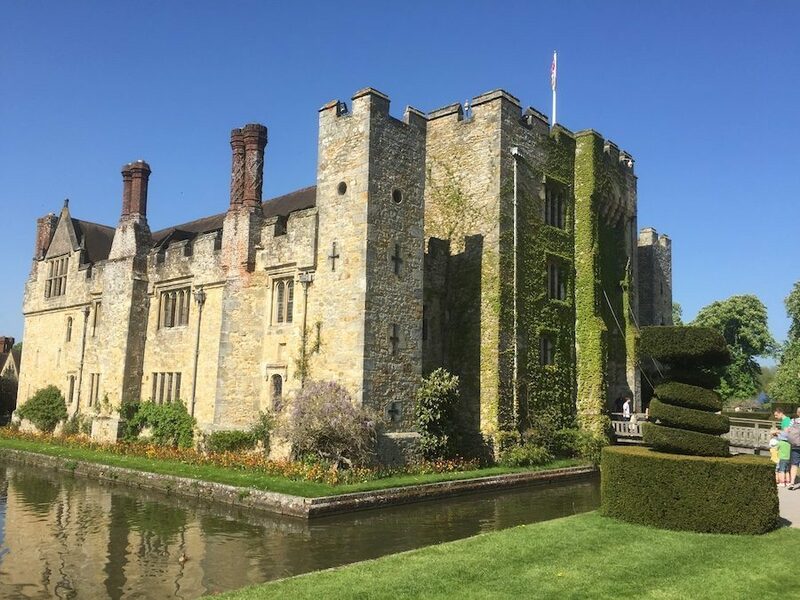 Thanks too for including my post on Hever Castle. Thanks Clare. I’m looking forward to visiting a whole new selection of places I’d never heard of! Thank you so much for including my tip! What a fab guide!!! Thanks Katy. I wish there were more places like Tebay! A cracking post filled with motorways I know and don’t necessarily love! You’ve reminded me of some great places I’ve visited and many more that are new to me. I really must pay another visit to the Yorkshire Sculpture Park – that might be worth hitting the M1 again! The Yorkshire Sculpture Park is top of my list too! There’s so many reasons to visit Yorkshire. Yes, NT and EH are great for a coffee and playground stop when you have membership. We went to Chartwell recently and didn’t even step inside the house as it was such a beautiful day and we didn’t have time. Must go back on a rainy day! This is well worth reading again for #FarawayFiles. Thanks for sharing it with us. It did take rather a long time and I already have places to add to it, when I get a chance…! I used to absolutely love Burton Dassett and haven’t been for a long time. Need to find a reason to pass by again. I hope to make it to Runnymede this year! Such a pretty spot and so close to the M25! Holy wow – what a fab resource for your UK road trip. I’d probably get pulled by our crew to stop at motor museums although I’d prefer the more pastoral pauses. 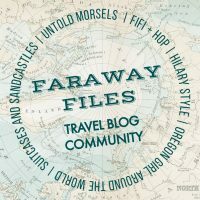 Thanks for sharing with #FarawayFiles. Cheers from Copenhagen. It sounds like your family has the same preferences to mine Erin! What a brilliant list! I always dread long motorway journeys when the only break is at a service station. Am pinning this for future ref and it’ll be a must-read for any family with younger children that need to let off steam mid-drive. Thanks. Yes, I always dread long boring motorway drives, avoiding them was definitely the inspiration for this post. This is such a useful post – will definitely make use of it. Some amazing suggestions here. Thanks. I’ve used quite a few already! Oh wow, what a fantastic resource!! 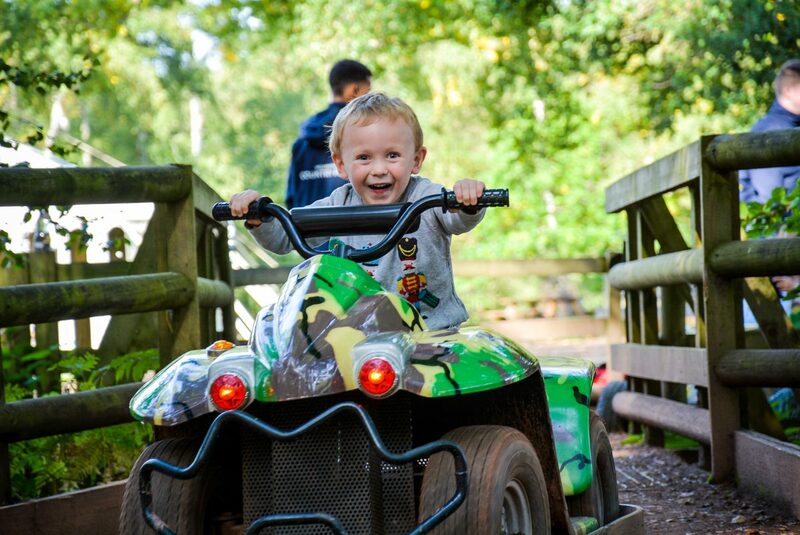 Definitely bookmarking this for next time we take a long journey 😊 My kids will definitely vouch for Wellington Country Park being a great place to stop, they love it there! Yes, Wellington Country Park is very popular in our family too. I wish we had something like that nearer to us.